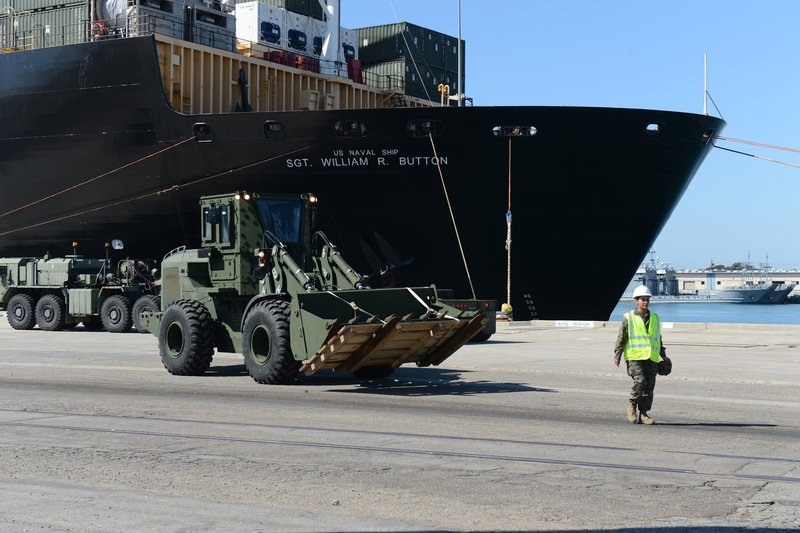 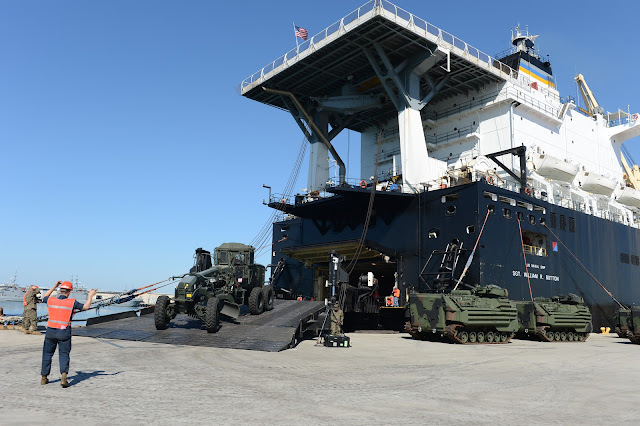 Seabees from Naval Mobile Construction Battalion 5 and Marines from I Marine Expeditionary Force direct an AAV-7A1 amphibious assault vehicle off the ramp of Military Sealift Command vessel USNS SGT William R. Button (T-AK 3012) in a maritime prepositioning force training evolution in Port Hueneme, California during Exercise Pacific Blitz 2019 (PacBlitz19). 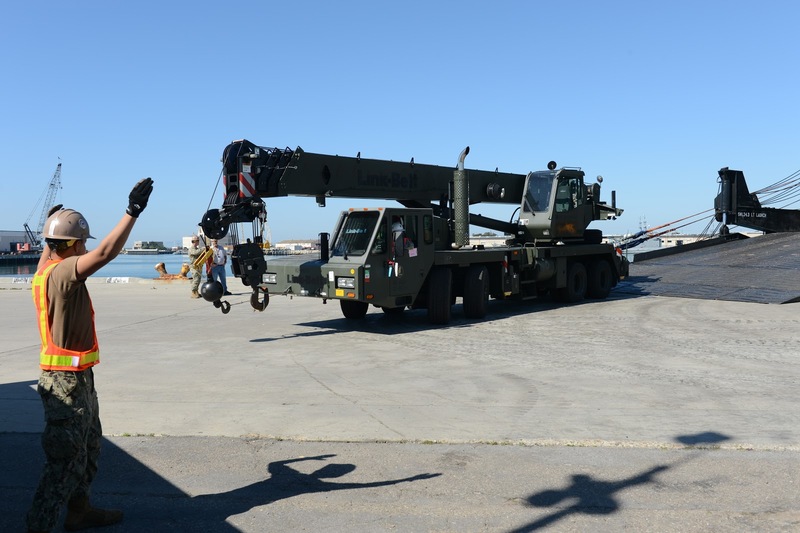 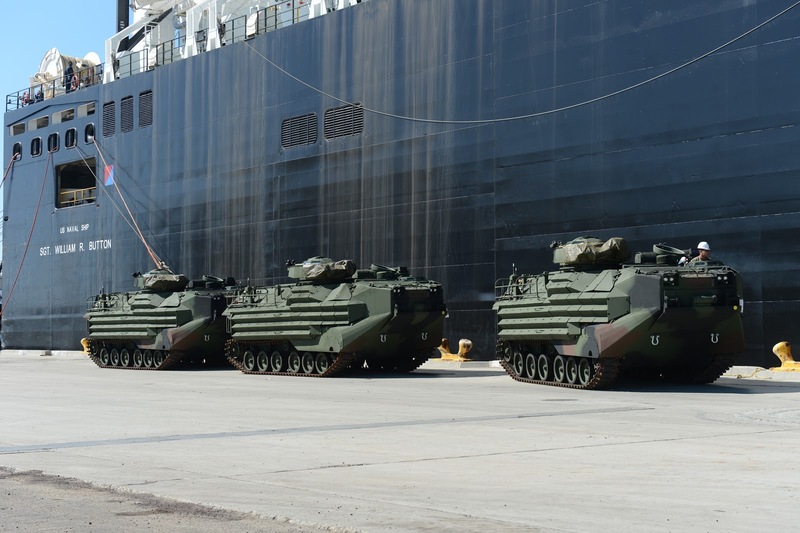 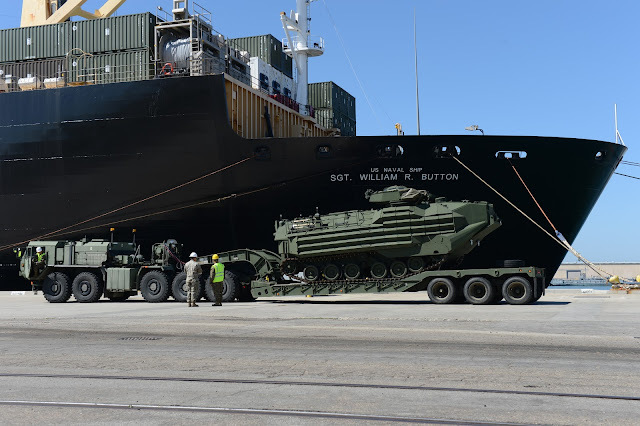 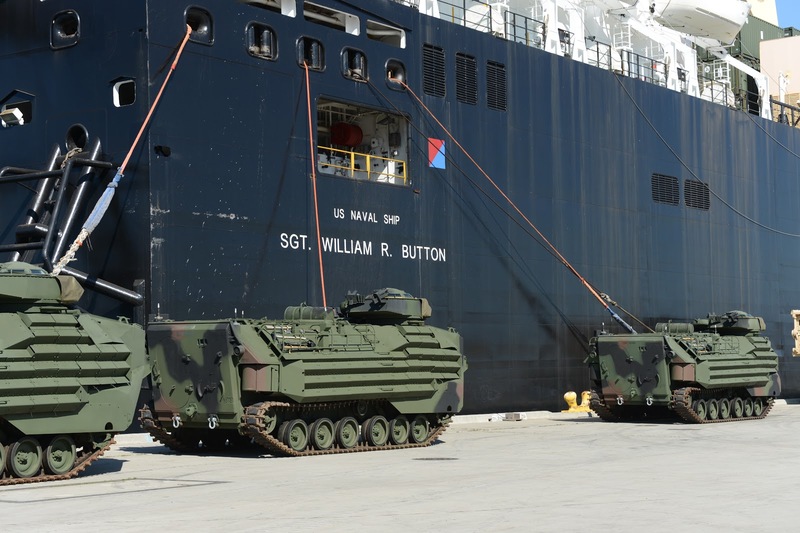 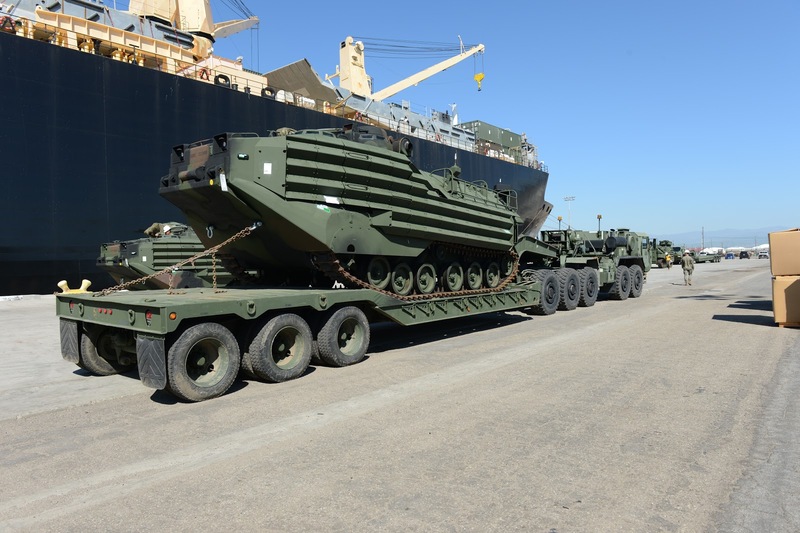 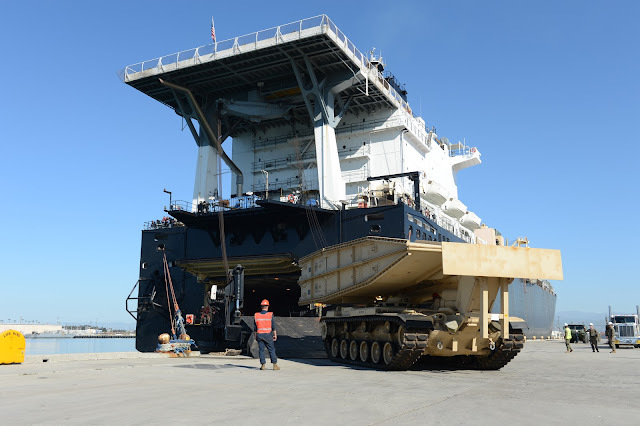 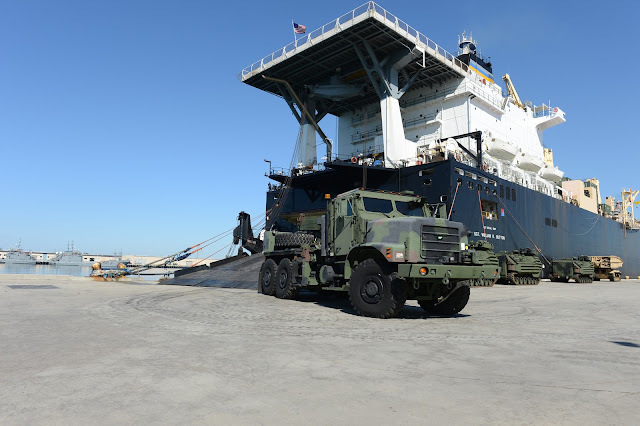 The inherently dynamic, scalable, and combined-arms capability of MAGTFs joined with mobility and sustainability provided by amphibious ships gives us an asymmetric advantage over adversaries. 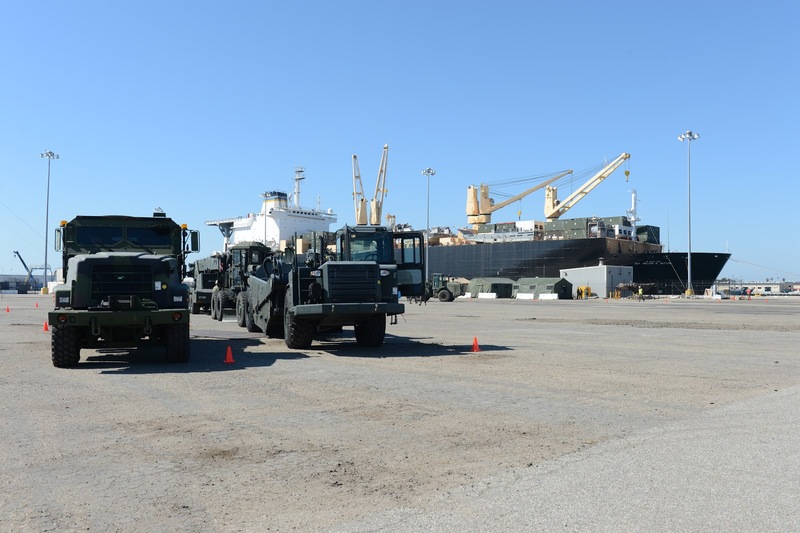 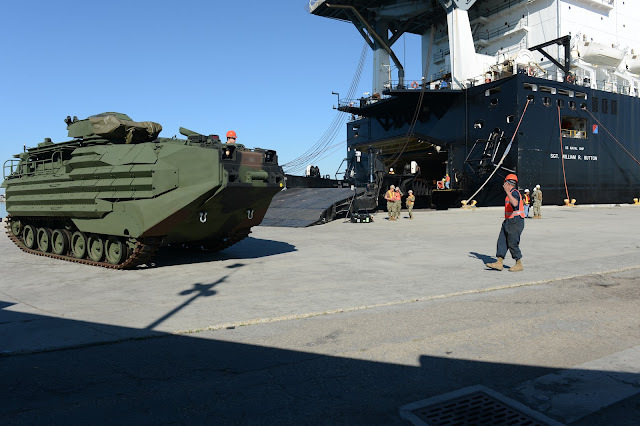 PacBlitz19 increases the ability of all participants to plan, communicate and conduct complex amphibious operations.